There is such a thing as Sequim homes in waiting. What are they waiting for? They are waiting for just the right buyer. I’m not kidding. Some homes only sell to that one unique buyer who falls in love with it because it is perfect for them. I recently showed Sequim homes to a couple from California, and I sold them a beautiful custom built home with 3 bedrooms and 2 baths in 2,300 square feet all on one level acre. One prospective buyer took one look at the property and said, “Oh my, look at all that grass to mow. Wow! Oh my goodness! Holly cow! I can’t mow that much grass. No way. That’s not for me.” And then I showed it to another couple who said, “Oh my gosh, this is absolutely perfect. We love it. And what a beautiful lawn.” And the second couple bought it for $415,000. Sequim homes tend to be unique. We don’t do tract housing here, so nearly every home is a custom home. Like this home in the photo. This is a 4 bedroom home plus a den, plus 2 and a half baths. The kitchen is modern with custom cabinetry and granite countertops, and the kitchen and dining room and living room are an open floor plan. 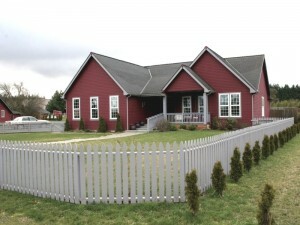 The house sits almost in the center of a level one acre lot with half of it fenced for a great dog run. Raised garden beds on the other side of the house are growing organic vegetables. Among all Sequim homes, this one is unique too and just waiting for that one unique buyer who falls in love forever. Kind of like a fairy tale. And they lived happily ever after in Sequim, Washington. Sequim log homes are not real common, but there are more than you might think. 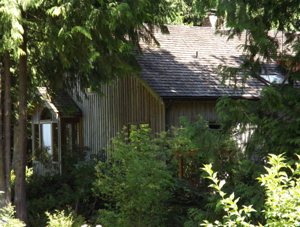 This is a Sequim log home I recently sold, and it is absolutely gorgeous. The log work is exceptional, and the floor plan and all the natural light make this one of the most extraordinary log homes I’ve ever seen. The logs on the outside have a weather protecting stain, and inside the logs are all natural without stain. With five acres of rich organic soil and an irrigation system, this is one of the Sequim Valley’s best properties. Did I mention there’s a panoramic mountain view of the Olympic Mountains? That’s right. I showed these buyers three other log homes, all beautiful homes. 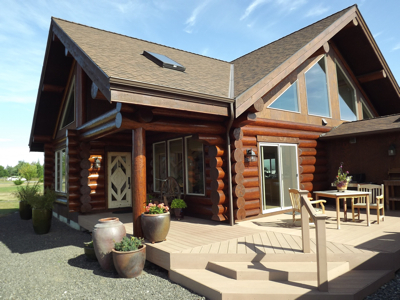 Sequim log homes may not be as common as log homes in Alaska or Montana, but we definitely have a few. Sequim real estate has always been a target for retirees, at least for the last 25 years, but this year retirees are looking and buying aggressively. Retirees from around the country have been watching Sequim for years, and as they have approached their official retirement date, their search for their ideal home picked up its pace. Many have come to Sequim several times over the years to see if this is where they really want to retire. Looking at homes is another way to the ultimate decision. I give tours to retirees who are considering Sequim, and I can tell you we have a great time. A lot of Sequim real estate is selling fairly quickly, but there are still many homes that continue to sit on the market for a long time. Here’s the reason. Retirees who are in their 50’s and 60’s have similar preferences. 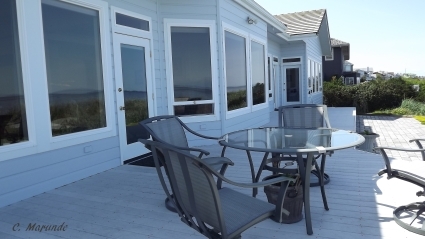 That beautiful newer custom built home with three bedrooms and two baths, a deck, a nice yard with some privacy, within the famous Sequim Blue Hole, and reasonably priced, all on one level with no stairs, or at least not lots of stairs. Does that sound like your ideal home? It is for the majority of people moving to Sequim. Looking at Sequim real estate ought to be a lot of fun, and it is if you do it right. I always recommend taking a tour of the Sequim area first. If you’re vacationing and just looking at the area, have a great time driving all around and outside of Sequim. If you’re getting close to buying a home, why not contact a Sequim Buyer’s Agent, and look at some homes while you’re here. That will help you make the decision about whether Sequim is the right place to start the next exciting phase of your life. You can call me at 360-775-5424, or email me at chuckmarunde@gmail.com and ask any question. By the way, this is an excellent way to interview agents. Ask them questions, and you’ll find out two very important things. You’ll find out if the agent knows the business and can intelligently answer your questions, and you’ll find out something more subjective–whether you like the agent’s personality and fell you would enjoy working with him. That’s important. After all, buying your Sequim real estate is a major life decision. Buyers need good reliable Sequim real estate resources online. For example, buyers want a powerful MLS (multiple listing service) that is easy to use. Buyers want to be able to filter the available listings and create a short list they can view when they come to Sequim and Port Angeles to look at homes. Buyers love these Sequim real estate resources, and we hope you do too. The inventory of Sequim homes for sale is not a large inventory. A search of the Clallam County MLS for homes shows that there are 662 homes currently for sale and pending. Narrow that search to Sequim, and you find out that there are 314 Sequim homes for sale. Narrow that further to homes with at least 3 bedrooms, and there are only 224 Sequim homes for sale. And lastly, if you include only homes between $200,000 and $400,000, that leaves 113 homes. When you start filtering the available homes in the Sequim area with features and acreage that you personally prefer in a location that you like, that list gets shorter and shorter. This is why retirees like yourself often focus in on the same small universe of homes. If there are a dozen homes that could be your short list, it is very likely that your list is also the short list for several other retired couples, give or take a couple of houses on the list. You can do some experimenting with available homes by using this MLS site to run a variety of searches yourself. 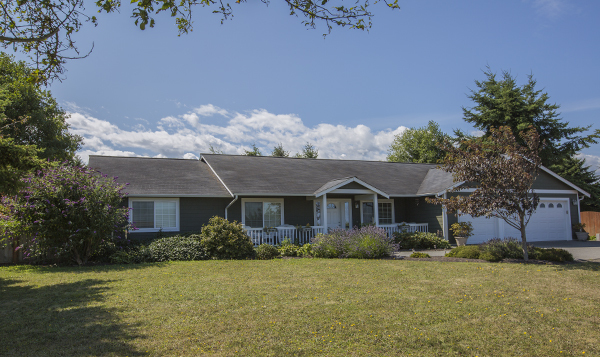 This MLS site can be a very helpful tool as you filter carefully through the inventory, save your favorites for your short list, and make adjustments in your final list just before arriving in Sequim. If you need any technical help or guidance on using the MLS to help you filter and save homes or land, by all means don’t hesitate to call or email our tech service department. Chuck Marunde will guide you through the process and make your search enjoyable.